10-12% of people (or 1 in 8) struggle with infertility. Fortunately, the last 50 years have seen unbelievable advances in the field of assistive reproductive technology (ART.) Unfortunately for some people, all the technology in the world still doesn’t result in being able to conceive or carry a baby to term. They are left with 2 options: adoption or surrogacy. 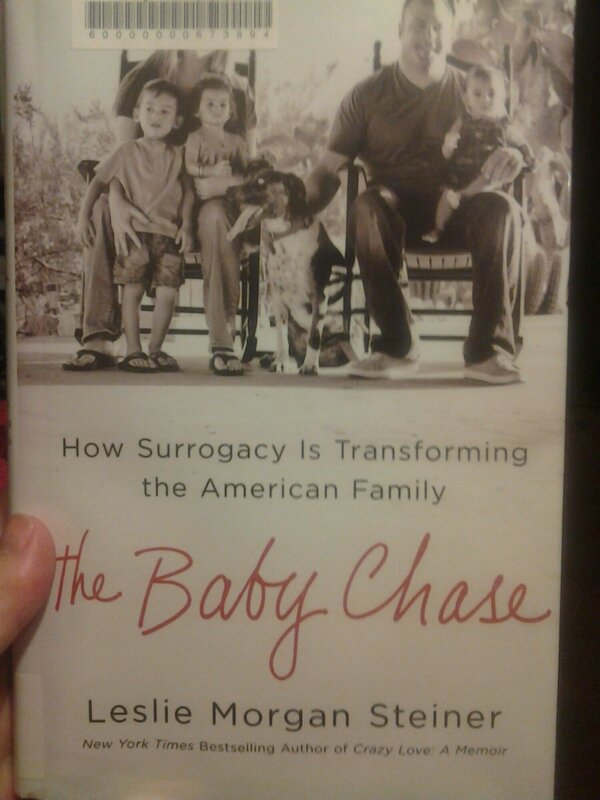 The Baby Chase details the journey to surrogacy for one couple, Gerry and Rhonda Wile. Steiner weaves together their story with medical and technological facts that are detailed but accessible. For many reasons, a growing number of surrogate mothers are in India, and their history finds its place in the narrative too. The Baby Chase is part human-interest story and part medical study. All the parts are well drawn and accessible with attention to detail. This entry was posted in Non-Fiction and tagged book review, family, India, infertility, medical. Bookmark the permalink.